If you love sustainable seafood and supporting local businesses, Fishpeople Seafood is for you. These meals are seriously super easy: toss the pouch in boiling water for four minutes or stick in the microwave for one. The pouches are ready to go on their own, or you can liven it up by serving over vegetables, rice, or whatever neat thing you can cook up. Not quite sold? Well, you’re in luck. I’m partnering with Fishpeople Seafood to giveaway eight different pouches that they offer. That’s right, you can win all of this seafood-y goodness. This giveaway ends on May 27th, 2015 at 11:59PM PST so you have two and a half weeks to enter. What are you waiting for?! 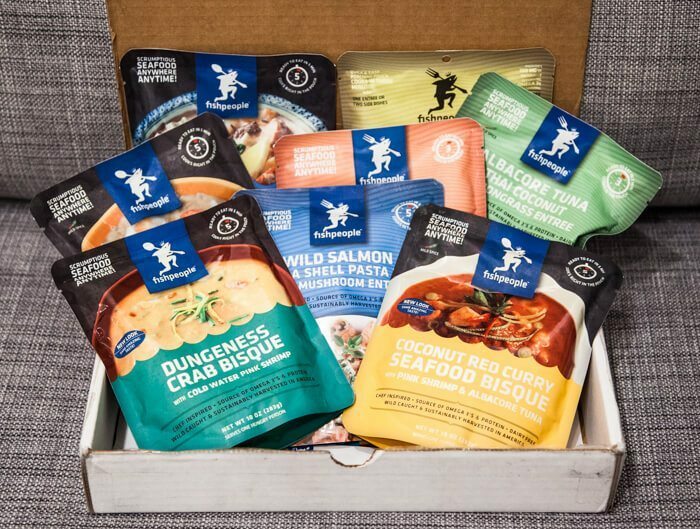 If you’d rather not wait to win, buy Fishpeople Seafood on Amazon here. These would be fantastic for my weekend adventures all over Arizona. I love Fishpeople Seafood. We had them on Hell Hike and Raft last year and they were more amazing than I would have ever imagined. These would be great for our next hiking party in the Black Hills of South Dakota! That Crab Bisque should taste magical from the top of Harney Peak. Planning a trip to outside Wawa this summer with my kids in the back country staying for 5 days on a Island with no one around. We are planning a hike on the Appalachian Trail! I totes wanna bring this camping! 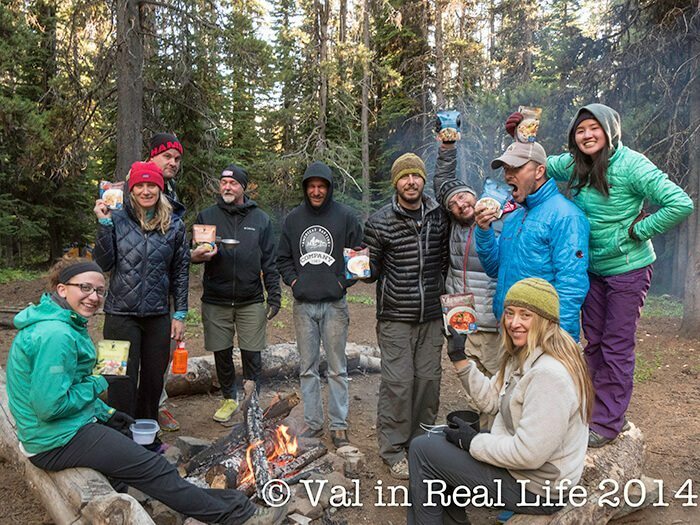 We would use this food on our canoe camping expeditions, in Vermont, NH, and Maine…Imagine that, eating seafood on the water! I am camping at Devils Head next month and would love to have this with me. I happened upon this brand just recently and tried the Chinook Salmon & Sea Shell Pasta in a Wild Mushroom Sauce and it was DELISH! I didnt actually track the package but I did read on the package that it was an option. Now after looking at the website, I wish I would have. I definitely will on my next package! We are going to the Omaha zoo this summer, we we always bring a picnic lunch. Oooh! I keep looking at these in the store but I can’t ever decide which one to buy! I’d love to test out an assortment on my adventures! We currently don’t have any camping trips planned. Boyz are going fishing this weekend w/their Boy Scout Troop. Wherever we end up camping this summer I can’t wait to get away for a while. Doing the six pack of So-Cal peaks as we train for JMT next year. Would love to see how these compliment our other ultralight meals in hopes of them becoming a staple! My guy loves sea food, never heard of this brand before. Please send some our way! I live in Maine. So I camp, hike and fish both the seashore and the mountains. While nothing is better than a brook trout straight from the stream and cooked over a fire, FishPeople look like they have a pretty good lineup that I would love to try out this summer. Always looking to spruce up my trail meal game! This looks DELICIOUS! We’d certainly tuck in to these on our upcoming camping trip in the Lake District! Can’t find these on my local stores been meaning to try one before I go crazy shopping & stock up on ’em! I’d like to give them a shot, you can never go wrong with sustainable food sourcing. I will be backpacking through parts of Minnesota back to SF, and I shall be HONGRAY. YAY! these look tasty! we have a few summer backpacking trips on our schedule that these would be perfect to bring along! my normal life is an adventure itself! these will help me out with busy weekday dinners! I’m taking my dogs on their first camping trip this summer, and I’m hiking in Scotland later this year. I’d take these camping with my pups. We have trips planned to the Grand Canyon and Willow Beach at Lake Mead (before the lake is gone, ugh!! )… and maybe someplace around Flagstaff too. Love seafood! 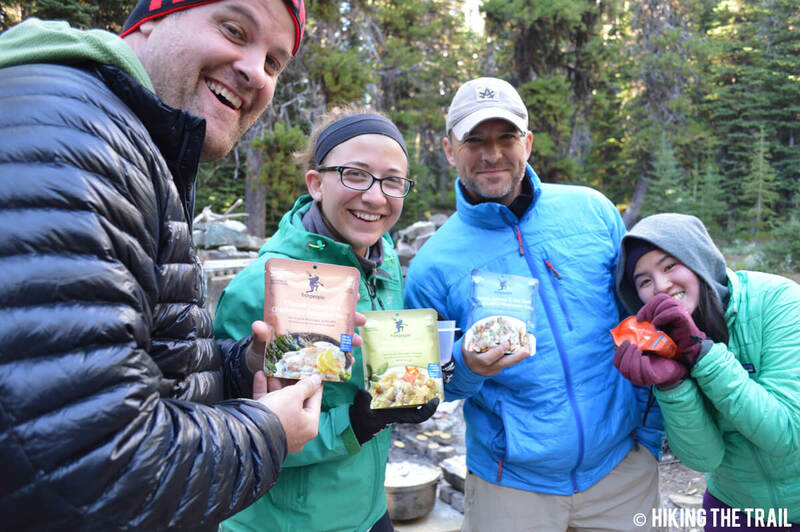 Day hike or weekend camping, so convenient!